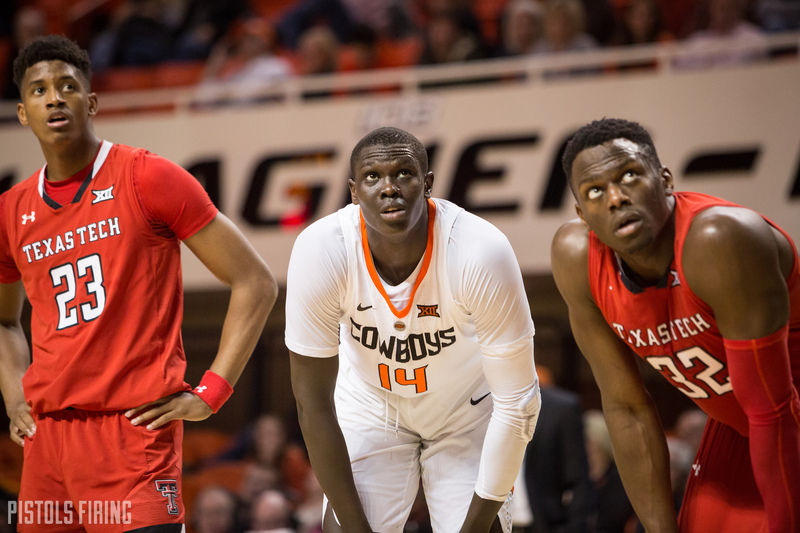 Can Texas Tech Provide a Template for Oklahoma State and Mike Boynton? Could OSU be what Tech has been over the last two years? I’ve become enamored (fascinated?) with this 2019 Texas Tech basketball team. They have a likely lottery pick in Jarrett Culver, and third-year (!) coach Chris Beard has them in the Final Four and two games from a title. They shared the Big 12 title with Kansas State and have been transformed over the past few years under Beard into a mini powerhouse. Bill Haisten even wrote recently — and somewhat humorously — comparing the Tech situation with Tulsa’s situation in the early 2000s (I’m sure Tech fans appreciated the mid-major comp and handled it with grace and understanding). And because Beard and Mike Boynton are relative newbies to the Big 12 (and D1 college basketball coaching in general), I wanted to look at Tech’s roster construction to see if this is a template Boynton and Co. could follow. I have so many questions! Has Tech been recruiting at an elite level? Is Beard really the next Bill Self? Is Graham Harrell secretly funneling money to talent using Venmo under the pseudonym Agent Zorro?? After one year at the D1 level at Little Rock, Beard took the UNLV job in 2016 a few weeks after Brad Underwood took the Oklahoma State job. I even wrote about Beard as a potential candidate in Stillwater. Then the Texas Tech job came open and he flipped on UNLV a few days later and headed back to Lubbock, where he had been an assistant coach for 10 years. His first year was similar to Boynton’s. He inherited a team littered with upperclassmen that wasn’t all that great. Of his top seven scorers on that year’s squad, three were seniors and four were juniors. None are on this year’s team. Zero. That team went 18-14 and 6-12 in the Big 12. So how do you go from that to 27-10 and 11-7, good for second in the Big 12, the following year? Well, you pull a Mike Gundy and recruit lottery picks disguised as three-star players in high school. Beard’s top scorer last year was a senior named Keenan Evans. It would have been like if Boynton had gotten two years from Jeffrey Carroll instead of just one. But his next two top scorers — who both averaged double-digit points a game — were Zhaire Smith (No. 16 pick in the 2018 NBA Draft) and Culver, who is projected to go as high as the top five in this year’s NBA Draft. Here’s the crazy thing … they were not even top 150 players nationally. Smith was barely inside the top 200, and Culver wasn’t even inside the top 300. To provide some context here, Zack Dawson (as in, formerly of OSU, Zack Dawson) was ranked (a lot) higher than both. Tech’s 2017 class ranked 39th in the country and fifth in the Big 12. Nothing to get excited about. But Beard comboed that freshman duo with a trio of homegrown seniors and one transfer from DePaul to make up the top six scorers on a really strong Big 12 team. If there was a built-in advantage, it’s that he got two years with the strong holdovers he inherited instead of just one like Boynton. From there, he created a monster. Culver is the only high schooler Beard recruited that is among his top five scorers on this team. Here’s where the others came from. So now Beard has leveraged a pretty decent stockpile of exiting older talent into becoming a real player in the transfer game. And in that sense, Tech’s run feels a little bit more tenuous than it otherwise would. I suppose, because the transfer market is what it is, the same could be said of all of college hoops. But the other part of this is that he’s also leveraged the on-court success into recruiting success. Tech has the No. 14 class of 2019 — Oklahoma State is No. 23 — and has the No. 1 junior college player in the nation coming in 2020. He’s working it both ways, but the general formula has thus far been pair one first round-type talent with what was left over from the previous tenure, work the transfer market and leverage any success into a future in elite recruiting. To Boynton’s credit, this is the model he’s attempted to follow. It just hasn’t worked out. For example, Michael Weathers should have been to OSU what Matt Mooney has been to Tech. And Boynton had a lost year in there that Beard didn’t have because he lost the Carrolls and Mitchell Solomons of the world whereas Beard retained his. In some way, I think 2020 could be Boynton’s “Year 2” with exiting talent in Cam McGriff and Lindy Waters in the same way Beard had those types of seniors in his actual Year 2. All that to say, Tech is not significantly out-recruiting Oklahoma State, and it has almost felt like pure luck that Beard has stumbled into Smith and Culver — two lottery or near-lottery picks that were three-stars in high school (?!). OSU has three (!) high schoolers coming in next season that are ranked ahead of where both Smith and Culver were when they were in high school. Will those guys be NBA talents like Smith and Culver? I have no idea, but there’s at least a better chance of hitting big on one than there was this past year. Boynton really needs to score big like Beard did over the next few months with a transfer or two. There are plenty out there — not to mention some late high school de-commits — and like we saw happen with Tech, the entire thing can turn really, really quickly. Boynton has (mostly) proven that he can coach when he has some players. Hopefully the switch will flip as fast as it has in Lubbock, and we’ll be talking about OSU playing a Final Four game in two years’ time instead of how another team could serve as a template for such a thing happening.